We aim to maintain the health of your teeth through preventive care, because prevention is always better than a cure! 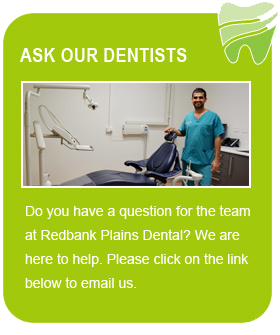 Redbank Plains Dental instils great importance to educating our patients on how to prevent plaque build-up and harmful bacteria that can lead to oral issues and periodontal (gum) disease. 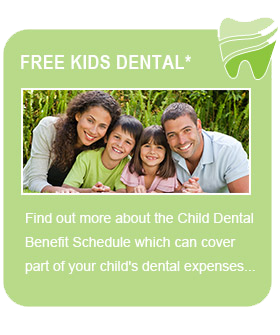 Our practice is dedicated to looking after your entire family’s oral health and we focus on providing preventive dental care for all ages. Knowing the correct techniques for home dental and oral care will have you on the way to achieving and maintaining oral health for now and the future. Preventive dentistry involves the maintenance and preservation of your teeth and mouth to stop dental problems from occurring. Using the latest technology to prevent minor problems in teeth can cease greater problems such as severe tooth decay and tooth loss. Preventive care also involves the care and treatment of gums in order to increase the chances of gum disease occurring. We offer the following preventive dentistry treatments to get you and your family on the right track towards optimum oral health. 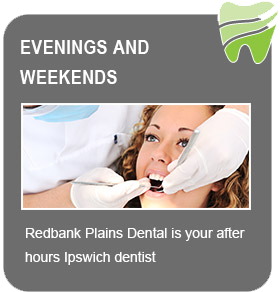 To find out more about our preventive dental treatments, book a consultation with Redbank Plains Dental. We perform all types of dentistry and offer our patients personalised treatments with the highest level of customer care.